We all use Google as a part of our daily routine. One of its features is search suggestion, where Google acts smart and gives us a list of suggestions while we are typing. In this tutorial, you’ll learn how to create a searchable drop-down list in Excel – i.e., a drop-down list that will show the matching items as you type. Below is a video of this tutorial (in case you prefer watching a video over reading the text). For the purpose of this tutorial, I am using the data of Top 20 countries by GDP. The intent is to create an excel drop down list with a search suggestion mechanism, such that it shows a drop down with the matching options as I type in the search bar. Writing a short VBA Code to make it work. In this first step, I will use a combo-box and configure it so that when you type in it, the text is also reflected in a cell in real time. 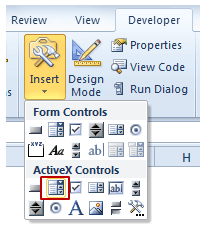 Go to Developer Tab –> Insert –> ActiveX Controls –> Combo Box (ActiveX Control). There is a possibility you may not find the developer tab in the ribbon. By default, it is hidden and needs to be enabled. Click here to know how to get the developer tab in the ribbon in Excel. Move your cursor to the worksheet area and click anywhere. It will insert a combo box. 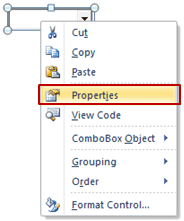 Right-click on the Combo Box and select Properties. Go to Developer tab and click on Design Mode. This will enable you to enter text in the Combo Box. Also, since cell B3 is linked to the combo box, any text that you enter in the combo box would also be reflected in B3 in real-time. Now that the search box is all set, we need to get the data in place. The idea is that as soon as you type anything in the search box, it shows only those items that have that text in it. This formula returns 1 when the text in the Combo Box is there in the name of the country on the left. 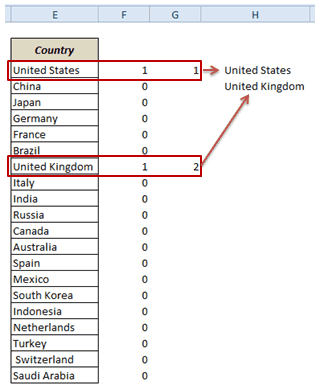 For example, if you type UNI, then only the values for United States and United Kingdom are 1 and all the remaining values are 0. This formula returns 1 for the first occurrence where Combo Box text matches the country name, 2 for the second occurrence, 3 for the third and so on. For example, if you type UNI, G3 cell will display 1 as it matches United States, and G9 will display 2 as it matches United Kingdom. The rest of the cells will be blank. This formula stacks all the matching names together without any blank cells in between them. For example, if you type UNI, this column would show 2 and 9 together, and rest all cell would be blank. Now that the helper columns are in place, we need to create the dynamic named range. This named range will only refer to those values that match the text entered in the combo box. We will use this dynamic named range to show the values in the drop-down box. Note: In step 1 we entered DropDownList in the ListFillRange option. Now we will create the named range with the same name. Go to Formulas –> Name Manager. In the name-manager dialogue box click New. It will open a New Name dialogue box. The final part is to write a short VBA code. This code makes the drop down dynamic such that it shows the matching items/names as you are typing in the search box. Right-click on the Worksheet tab and select View Code. You are all set with your own Google type Search bar that shows matching items as you type in it. For a better look and feel, you can cover cell B3 with the Combo Box and hide all the helper columns. You can now show off a little with this amazing Excel trick. What do you think? Would you be able to use this search suggestion drop-down list in your work? Let me know your thoughts by leaving a comment. Dynamic Filter – Extract matching data while you type. Extract Data based on a Drop Down list selection. Creating Dependent Drop Down Lists in Excel. The Ultimate Guide to Using Excel VLOOKUP Function. How to make multiple selections in a drop-down list in Excel. hi i have complete your toturial and it works fine with a combobox in an excel spredsheet. I would like to use this in a Userform but I just can’t figure out how to do it and how to make it work. Because i cannot choose LinkedCell and ListFilRange in a combobox that is made on a form, do you have an idea of ​​how it can be done. Thank You So Much, Brother! It helped me a lot! Can you use the same searchable drop down list to multiple cells? hi there, ‘Creating a Searchable Drop Down list in Excel – Step by Step Guide’ is very useful.. thanks for that. i want more combo boxes one after another with same functionality. you can consider that i am making a recipe and i will choose ingredients one by one in each combo box. how can i copy the whole formula. In the step of Configuring the Search Box I am not able to change Listfillrange. How do I write vba code for 2 independent Combo bixes on the auto search from down list? What if my list of names is on one sheet and your code etc is on another sheet. How will the code be updated ?? This seems like a great resolution for what i need. I’ve gone through all the steps and created all my helper columns, however, i believe I may need to change some details of the VBA code because my actual dropdown list on a separate sheet (Sheet1) while all my data in contained in my hidden sheet (Sheet2). Any idea what I may need to alter? can i make the same type of combo box in a user form? Hello, and thank you for this tutorial! I am having one issue that it seems no one else had, and that is this. Every time I type in the combobox, “DropDownList1” (I placed the 1 for personal reasons, to determine among several comboboxes) disappears from the “ListFillRange” property. I’m hoping this site is still being monitored. If so, is there a solution to this? You need to create the Dynamic Name Range FIRST. So go through all the steps till the final one. Then go back to your combo box’s properties and enter the “DropDownList1”. It will now remain there. Thank you so much for this tutorial. Is there a way wherein I can update the details of the result in the search bar? If you search by her name, you can add new or edit information thus updating the database. if i enter the search text all i only want to see – allimere and allimoor but your example will also show sandall as it’s finding the search text “all” anywhere within the word. Can i set this to only check at the start of a word? Thanks, also please suggest how to apply this on multiple worksheet. we have more than 90 product with different type of packing packing with each product. So can you help me to provide excel file where i can choose one product with searchable drop down menu . This is Great.. Is there anyway to enable the arrow key buttons when selecting the items on the list? Great utility! This was exactly what i was looking for! The search behavior is perfect. That’s quite an amazing trick.. Any way to interact with the Arrow Keyboard to select the item on the list? I need to the following done multiple times instead of just one time how do you do that? Right click on the Worksheet tab and select View Code. 1)When I type the complete string of a suggestion, I am unable to select the suggestion. For ex: Lets say the dropdown if of countries. Now when I am typing complete string say “india” I am unable to select the single suggestion “India”. 2) Also, in some cases when I am selecting a value from dropdown, it is picking other value from the list. However the linked cell is showing correct pick. Hi, Really appreciated your tutorial. I try to create multiple combo boxes in one page and I managed to make the helper columns work properly, I have added more dynamic named ranges and added replicate the VBA codes for each combo box. The problem I have is that after I finished picking a suggestion from the first combo’s list and type in the 2nd box, instead of it showing a suggestion list correspond to what I just typed box 2, the first combo box “reacted” and show only the item which I previously picked. I have to clear the first combo box entry before the 2nd combo box start working properly. my English is not very eloquent, I hope you can understand what I meant. HOW TO CONTROL Combo Box (ActiveX Control) WITH KEY BOARD. PLZ SUGGEST. IT’S NOT CONTROLLING THROUGH KEY BOARD. Thank you very much for sharing, very useful for my excel database. I created the active x combobox and the corresponding data columns and the dropdown with type suggestion works perfectly. My issue that I continue to run into is that when I select another cell or enter data into another cell, I am prompted to select an option from the dropdown. I have already made this selection, but everytime I do anything in this worksheet or any other worksheet in this workbook, I am prompted to select an option from the dropdown. How can I resolve this so that I am only prompted to select an option from the dropdown when I am actively using the combobox? You made my day, awesome. Hello – I followed the steps and I get the search drop down to appear in the Combo Box when I start typing. However, when I try to add another search drop down, i change the Combo Box to 2, and change VBA code to ComboBox2, it is not working? how to make second search drop down box? I need the same information. Hopefully, someone will respond. Thank you for showing this. I have been searching everywhere for a drop down predictive text list for some time now. Will this work if the list is located in another worksheet? I want to navigate in the suggestions but when I press DownKey it automatically selects the first match, without letting me keep on navigating to my target value (which is actually not the first one…). Any ideas of how can I solve this problem? For ex: I have 3 value xxxFAHxxx xxFAHxxxx and xFAHxxxxx, when I type FAH it will sort it alphabetically, but I want to navigate with up/down keys it will select the first one, taking out the possibility of scroll down to 3rd one (target). Thank you very much!! Hi, I have to lists that I need the combo box to work for, can it be done? HI, I see that this topic is quit old, but I just discovered this as I had a need for exactly this option. Ive tried creating a new workbook from scratch and I’ve tried downloading the example and then inserting by data in it. In my workbook I have separate worksheets for say banks, nursing homes, and funeral homes. There are 100-200 of each of these. IN each worksheet I wanted to use this option, BUT I can not get the vba portion of it to work. BUt in the combo box I do not get the interactive list and the option to select the sorted names it just keeps showing the entire list. Not work properly with similar values with numbers. If the list is “value 1, value 2, value 3, …, value 100”, selecting from a list of “Value 2”, insert the “Value 20”. Instead of “Value 3” – “Value 31”, etc. Is there a way of doing this in a normal cell and not a floating one? I want to add the result into a vlookup formula for which i need to refer to rows and columns. My drop down list works pretty well but for some reason from time to time it acts kind of funky. Image 1 shows what the ddl looks like before using it. =====>> Why does it select the 2nd item from image 4? it does not behave like this for any other selection. See images 21,22,23,24 – it does not do that for other items. Thanks for writing this article – it was very helpful and I have performed the instructions you outline above and everything works fantastic! During my testing I ran into a snag. I would like the DDL field to remain empty except for what I typed into it. All I typed in was a 1 so that should be the entire search term. For x = 2 To Cells(Rows.Count, 1).End(xlUp).Row – “1” in the code indicates Column A.
Also,data is filtered with combobox and copied to the other pages in our study. Hi Sumit, How do I get multiple suggestions to populate? so far it is only giving me 1 at a time as I type? First off, great website. It’s very well put together and very informative. Is there a way to speed up the queries for a large column of items? I’m setting up something that uses a 45,000 row list of items and I’ve noticed that I have to wait five or seconds for each keystroke that I enter in the ComboBox. The drop down list is not working when combo boxes are on a user form. Is it possible to create the same drop down list in a user form? I have done all of the above and also the changed to the comboBox code in the thread below and they are all working great. However when I combine these with an Advanced Search filter Via a macro it doesn’t work. any ideas? Hi Sumit, with great thanks for your thoroughly explanation on this matter. With your help I managed it. But I do need more than one (appr. 70) of these dropdownlists with the same reference information. You cannot copy the dropdownbox and just replace the reference cell, right? Any suggestions for me? thanks for this can we copy multible drop list to different cell with out showing the same name twice. It shows how to have multiple drop downs without repetition. I have an array of strings I’m using to populate a combo box in a UserForm. It auto-fills your entry if you start typing from the beginning, but I want users to be able to search using any part of each string. Thanks for any help and for this awesome sub in general. is it possible to create multiple combo box? Now the problem is if I select value on one of the search drop down box it doesnt show dropdown suggestions while entering the values in second drop box. and open up the filter of the first drop box. Appreciate if you can provide a solution around that. This tutorial worked fine for me. I have one question only. Is it also possible to make a restricted list of this? What i want is when i fill in ”England” a popup screen says: This is not a chooseable country. But Cannot Select the text from list by up/down arrows.is it possible? I am using excel 2010 btw. I can see a few other users have this same problem, was there any fix in the end? Hi Sumait, love the functionality however I am having an issue where the drop down box reappears as the rest of my form is being filled out. Do you know why this is occurring? Hey. Great work. superb. It works. what I want more in this is. I am working on recipe costing where I have to select different ingredients to make one recipe. The dropdownlist contains all the ingredients, but how I will select separate items. eg. say X recipe has 4-5 ingredients then how do I select in each line ? pls solve this. It will save my lots of time. Thanks…. You may perform the following tutorial to achieve Filter as You Type to shortlist your Equipment Lists. Hope I have answered your Query !! Thank you Sumit, for such a good example. It helps a lot when we’re short of time. Such are very useful for my ECommerce Calculations. For people that want a dropdown menu they can navigate with their keyboard keys use this. Btw reallly good explanation author love you. Also you can link your combobox to somewhere else too with this code. It also fixes the crashes that you get using the keyboard keys. Great, I have been looking for this for some time and I am really gratefull. Firstly this is brilliant; it may be the most useful excel trick I’ve seen on the net. I am having some trouble with it though. I’m not sure why, but when I do anything elsewhere in my spreadsheet (click a button, check a check box or just type in an empty cell and hit enter) the search suggestions drop down of their own accord. I’m not sure what’s triggering it, although I am quite a novice at excel so I’ve probably just made some tiny foolish mistake along the way but I can’t seem to work it out. Do you have any idea what I could have done wrong? really that’s great working !!! thanks buddy. still we need to select from drop down list by clicking the mouse. can you please suggest like, just type some name and then come down by down or alt+down errow. …And it keeps looping them inside the search box. Any way to get rid of the extra entries so that it just shows the 5? Love your work but i have an issue with the combobox. I can search the data and all works but when i’m continueing entering data in my excel the dropdown keeps randomly appearing even if i selected the data. is this a bug or did i do something wrong? i have to admit i changed the functions a bit. since my list was very long where the data is and i add data every day i just added J:J to look for data, not between values. If you could have a quick look it’d be great but I’ll understand if you’re too busy. Thanks in advance! It took me several attempts to get this correct, but your instructions helped me get through it. Thank you so much! Thanks for this amazing article – it worked seamlessly when applied to a template I am currently developing. The explanation and code is very easy to follow and implement – so thanks! I find that the linkedcell area is always empty once the button is clicked so action 2 never runs. I created another button that just calls function 1 and function 2 (so action 2) and it works, but now the error handling code that I wrote no longer applies (so runtime error every time the cell is empty or if the entry does not match the list). I really like your search suggestions in the combo box dropdown list – it is wonderful. How do I create multiple Combo Box with the same dropdown list within the same worksheet? Using data validation is not good as I have a long list of data. Hello Megan.. Thanks for commenting.. If you have a huge list, I would suggest you use data validation only. For this technique, you need to create the drop down search bar again and again for each cell. so i used the formula that shows the actual result name, copy pasted into 3 other columns to the left of these, and then i hid the original ones so to only show the resuts after typing in the bar, and i wanted it to give me the results as you see on top so if i have a store i just type the store name and it would show all 3 columns name address and phone #…. but it partially works…. it worked at first when i had 360 rows… then i had to add more stores to the list and then proceeded to modify the formulas accordingly to fit the rows… say i had 380 rows now… i change the formula to row 380 as the end, but then i get an error that it cant work with the formula…. and if i leave it as it was before… it would select more rows than i have… if i have 380 the formula would read like the last row was 760… so it ended up selecting empty rows… if i try to just select the total rows i have it would keep giving me the INCONSISTENT FORMULA error….im confused… all i changed was the total rows in the formula… nothing else … it worked fine before but not now. what do i do ? what am i missing? please help. Hello Usman.. It seems to working fine on my system. What version of excel are you using? Hello.. Do have a huge data set? I assume it would become slow when you have a huge data set as there are multiple helper columns at play here. Brilliant this makes my job a lot easier, thank you. I have some problem…I do this and when using it..type to search in that searchable-dropdown and delete it to type new word….and after then I save and all my data in column “H” gone.Thought it causes from deleting..so my question is how can I have searchable drop down with non-editable option. i created the drop downlist as above.Now how could i extend it to whole column as i want it to each and every cell. I am unable to select the dropdown control box to paste it to remaining columns. Is there any way to make the link cell dinamic? I want to apply this combobox to work in diferent cells from the same column. Also the list of data is in another worksheet within the same workbook. WOW! This is ALMOST exactly what I was looking for. Is there a way to have multiple search boxes linked to corresponding cells in the “B” column? I’d like to have the entire B column to be linked to separate search boxes. Thank you thank you thank you! This is precisely what I wanted, not to mention perfectly explained! Can you do this with multiple cells (say 400) without having to continuously redo every step? First of all, thanks a lot for this great tutorial and this great idea. is creating some problem. Any suggestions? Have you already got something like this? Also, I am working on reducing the 3 lines of helper columns into a small VBA code (using arrays to handle the data), mainly for performance reasons. I will share it with you as I get done. I want to use a list on a different worksheet. I created the 3 helper cells but in the first one, I tried inserting the worksheet name where the combobox is placed (worksheet named “AGENTS”) with the following formula =–ISNUMBER(IFERROR(SEARCH((AGENTS!$K$2),E3,1),””)) . For some reason the only name it returns is the name on row E11 and it completely fills rows F and G with 1 and row H with the name on row 11. Is it possible to do this with the drop down list being on a separate worksheet? Sumit – this is absolutely great, thanks for posting it. I tested the file and it worked fine. 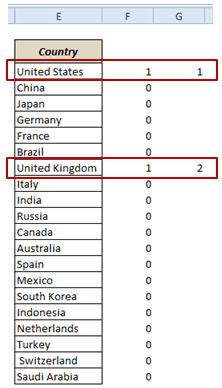 But then I tried adapting this for a similar problem, where instead of countries I have a list of about 250 Part IDs (which can be numeric, alpha, or a combination thereof). The issue I have is that Excel seems to crash every time I’m in the Combobox and happen to hit the down arrow key. Maybe it’s something specific with the down arrow key, or maybe 250 rows is “too much” for the formulas? Have you experienced this? Any thoughts? Hi did you ever find a solution to this, I’m having the same issue. We would like to use multiple combo boxes on the same sheet with this approach and have the problem that the comboboxes interfere with each other. Do you have any possible solution here? can see from the video the created combo box is linked to a cell now my question is can the combo box link to multiple cells in the same column? similarly, i need to do it in cell ? please help!!! First and foremost, Thank You for sharing this information. I have one question that I hope you or someone in this Discussion can answer for me. I used the Drop Down List technique in a form and it worked, but the only thing is that when I tab to my next field in my form, the drop down menu opens the list back up. I provided a screen shoot of what I am talking about. Is there a way to keep the combo box from making the list show the selected data again? I’m sorry the picture is a bit small but if you can manage to see, the top half shows the selected item in the list and everything is fine. The bottom half shows when I type something else in another field in the same sheet and tab out of that field, the list provides the same selected item in blue again. Nevermind about the picture being small, when I was uploading it, the picture seemed small but when it posted …. whoa, it was huge. Sorry about that you all. However I am getting issue When I use arrow keys (down) to move the selection down the dropdown list to select say 3rd item. Only the first item is selected and dropdown list disappears . What I want is , when I use arrow keys(up/down) to move the selection up and down the dropdown list, it should only scroll up/down and it should not change the value of the combobox (and fire the change event) until the user hits enter or tab . Hi, one question. How i can do to have the same drop down list with search suggestions in the diferents sheets? I’m not very confident with ComboBox so I tried using data validation for a simpler solution. The drawback of this method is that the dropdown list does not change as you type and you type into a different cell from the dropdown (you just enter/press return when you have keyed your search text). As I say, not as complete or elegant as your method but it means that you don’t need to use Developer or Visual Basic. May be of use for people with large and/or complicated spreadsheets. Still at basic Excel level but I have replicated Sumit’s amazing solution exactly in a test file – it works wonderfully. I am trying to use your method since I have a worksheet with a long item list, have already created the Validation drop down in another worksheet form – it all works but I would love to be able to search. To try your solution before adding it to my work, I have used your formula as the Data validation source, copied all of Sumit’s formulas and columns skipping the first step of configuring the search box and also no VBA code. However, typing India into cell B3 brings the choice of Turkey in the drop down box, I have tried it several times. Is there something I am missing, would really appreciate your help, I am almost there! Joe, I tried something ridiculous, changed the cell address of Sumit’s formula in Helper 1, then changed it back to it’s proper address – it suddenly began to work, with your method! Thank you for this solution, and thank you Sumit for this site, even for an absolute beginner like me it is totally amazing! I’m glad you were able to sort it out. I’ve added some screenshots for reference showing the data validation source, various cell formulas and the resulting drop down list. Thank you Joe. When my workbook was perfect, I tried to Lock/Hide the cells containing formulas and then to Protect the worksheet. Suddenly the drop down list did not work even when I unchecked Hide, Unprotected the sheet, and Re-Saved. Gave up for the day, opened it today and now it works perfectly although I did not change anything at all! Since I had flaky seeming trouble last week, I repaired Office then, hoping that was the issue, but obviously I have a problem – or maybe Excel needs some time to ‘register’ changes:-) Since I am new at excel but with your and Sumit’s help I have done something so way above my level – is this behaviour normal? Also, is there a problem with Protection and Drop Down Validation? Hiding columns will have no effect on how your spreadsheet works. Locking cells and protecting the worksheet is different. By default all cells in the worksheet will be locked when you protect the worksheet so the data validation cell will be locked and therefore will stop working. You can change the default so that all cells are unlocked and then specify just the cells you want to lock. Use Ctrl+Shift+F to get to the Format cells dialog box and use the Protection tab. So highlight the whole worksheet, press Ctrl+Shift+F and unclick the locked cells box in the Protection tab. Then highlight the cells you want locked and click the locked cells box. Then protect your worksheet. Hi, Thanks for sharing this. Can I be so bold as to suggest a possible improvement. My list is very long so when I type in, for example, “a” I get all the records with an “a” anywhere in them. What I really wanted was just those records STARTING with “a”. So I created a new formula in cell J3 which was =LEN(B3). Then I edited cell F3 to be =–ISNUMBER(IFERROR(SEARCH($B$3,LEFT(E3,$J$3),1),””)) and copied down. I used it in F3 and copied down. Yes thanks, much more elegant than my attempt. Thanks much for the tip. After getting it to work, I tried to create a second combo box to do the same thing. I created three more helper cells and a new named range, that part works. The trouble is when I am entering data in the second box. I can add data in the firs all works great. When I attempt to add data in the second, the choices in the first re-appear, and nothing appears in the second???? Great job. I’m trying now to adjust it for myself on VBA Form. I have combo box on my form and procedure for it. I’m adding to cell B3 what I’m typing. Filtered Dynamic DropDownList is appearing, but I can select only FIRST item from list. If i’m selecting any following items – it’s becoming blank.. Earlier I used the same as yours formulas before. Just without Combo box on sheet. Instead of that I used formula =CELL(“contents”) in cell B3 (referring to your lesson) – with this you will get value to B3 from any cell in sheet you will type in. And I have copied Name Validation to all cells I need. It filters list only after I press drop down arrow, but i was enough for me. Now I would like to create that in VBA form. I’m not professional in Excel, but thinking about possibilities to create that using dynamic arrays and filter them only using VBA code. I need ~30 combo boxes on the form doing the same.. Waiting for you tutorial about it on VBA form..
have you invoice and inventroy software in excel tutorial? This was incredibly helpful! Thank you very much! My search suggestion seems to be populating options that do not appear in formula, any clues as to why? my references are absolute. My formula seems a little different than what you posted but matches what you had in your video. I have COUNTIF instead of MAX… would that be it? How can I share my workbook through here? If you enter CIS into any of the search bars you will see what I am talking about (hopefully). Also, I just noticed when I choose CIS 13 it populates CIS 136 (another choice). Sumit, Thank you very much for taking the time to look over my file. I wanted to really express my appreciation for the website that you have built. I cannot thank you enough for taking the time to share your knowledge and expertise. THANK YOU! PS thank you for your prompt response! Thank you for your prompt response! My formula looks a little different than yours but I followed your video very closely. My reference is absolute but I am using COUNTIF instead of MAX. This is my formula: =$E$2:INDEX($E$2:$E$410, COUNTIF($E$2:$E$410,”?*”)). sorry I think I keep posting twice, it doesn’t seem to register the first time but then it does. This is so awesome, thank you! I have a question: (I haven’t checked all my dropdown choices but) One of my drop down choices, once selected, read something else. For example I choose CIS 13 but it shows up as CIS 136 (which is also one of my dropdown choices). The formulas are working correctly and showing all the appropriate choices… I have no clue why it is happening. Good job! Just one remark. I found that this option works much better. Hi Dennis.. Thanks for commenting and sharing the code. I tried this and it work perfectly. Great tool you have there, I have it set up and working now! However, I am using this for a list containing quite a few duplicates, which I would like to remove from the drop down list suggestions. Would you have a solution for this? I tried some VBA coding, but I can’t seem to combine it with your method. Hello.. Welcome to Trump Excel and thanks for commenting. You can first remove duplicates and then use this method. Dear Sumit, absolutely great stuff!! my query is, how should I get it in a VBA userform combo box? This article is amazing. I am facing a problem when trying to scroll the mouse on the list of suggestions. The whole Sheet moves and the combobox stays on the correct cell, therefore the suggestions roll down the sheet and it’s terrible. It appears to be a VBA issue, but I duplicated your VBA code flawlessly. I’ve attached a screen shot for your reference. Please help me with this.. I have a lot of time invested in its outcome. Great work!! I want to clear the search field by pushing a button and tried to record a macro. Did not work. Do you have an idea about how to solve this? Thanks for such a handy trick!.. Is it possible to automatically change the range within the formula’s name manager if the list is getting longer or shorter? Yes it can be done. You will just have to create the named ranges and use it instead of cell references. Thanks Sumit for this great info .. is there a way that when I have the suggested list I can move through it with the keyboard arrows instead of the mouse ? Great tutorial! I have a slight problem I hope you can help. My combo search box only shows 1 data even tho there should be more more. My look-up table is in columns and not in rows like yours. You mentioned in your video (around 12:30) that since the array only has 1 column, there is no need to add the column number. Could this be the problem? If so, where or how do I add the column numbers? Great to see your trick here..
if I have many cell to get this search suggestion from dropdownlist, can we do it? I have followed all ur istructions. But when I type in the combobox the 1st letter A then nothing appears in the list. When i type in letter B then all the letters of names that starts with A appears but no B. Have I missed something ?? This is great and amazing technique. I do need some help. Will I be able to send you the file and see if you can fix it for me? Please. I have now used this in designing an invoice report. I have a prob;em though, whenever I run another macro on within the file the private sub runs and gives me a box with the contents of the Combo Box in it ‘floating’ about. How can I stop the private sub running when I run other macros (The same thing happens whenever I edit anything in the file). Hi Sumit! I want to use the same Combo Box with this type of search suggestion in a user form. But there is no option of List Fill Range available. Hence I am unable to get search suggestions on a user form. Is there a solution to it? Love the work here. Problem I need help with. Within the same workbook, I have created 2 different combo boxes that are referencing two different data lists…if ComboBox1 has a selected value, ComboBox2 will not work. ComboBox2 will only start working if I clear ComboBox1. I made sure to change the appropriate names in the VBA code, the “fill range” names are different as well. I have noticed that when I click on either ComboBox the formula bar displays =Embed(“Forms.ComboBox.1″,””) for both Combobox1 and ComboBox2. I tried messing with this formula, but i get an error when doing so. Any help would be great. to =–ISNUMBER(IFERROR(SEARCH($B$3,LEFT(E3,LEN($B$3)),1),””)) and then copy the formula down. This makes the search always start at the left of each country name, so typing U into the combo box now just brings up United States and United Kingdom, and not Russia, Australia, etc. Thank you very much for this tutorial. I have gotten everything working, however, when I start typing in the search box with the drop down list showing (single clicking on the search box), it always crashes my Excel file. Alternatively, when I type in the search box after double clicking (this removes the drop down list showing) it does not crash. Have any ideas of why this might be happening? Sumit is right that the arrow keys generally don’t work as they do with a standard combobox. However if, by typing sufficient letters, the country you require is at the top of the combobox list then pressing UP arrow auto-completes it and selects it. So to select “India” I only have to type “In” and then press the up-arrow. Hi, Thank you for your trick. 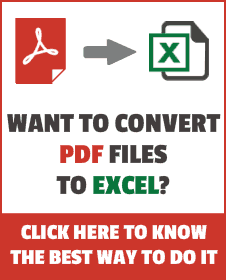 I download your file but I can’t make it work in Excel 2007, is there any limitations? Thank for this code, I am trying to do exactly the for combo box in an excel UserForm. As am a novice and am really struggling to do this, have you an Excel UserForm example of this code. This is a great technique, but it is not really convenient for me to use combo boxes. I am working on a bill of Lading and for the products I would like to create that kind of drop down list. I would like to do it without combo boxes. Is it possible to have the same google like search suggestions and yet use just a drop down box in a normal cell? Also I need that for several product lines. I would really appreciate if you could help me out. I have a dropdown list, it is used for accounting. my list contains our services. these services varies with customer. how can i use this in my worksheet. I am working on a Vessel Crew program and by finding the crew under last name is now working with this cool function. Although they are not related I have here 3 men with same last name, How can I add a second combobox giving me the opportunity to select the correct person? Glad you find this useful. If I understand correctly, you want another drop down that display the full name (or first name) when you have selected the last name. To do this, as you stack up last names, you can also stack up full names (or first names) and then use it as a source of your drop down list. Can I use the same Combo box for 2 columns? 1. I would to get the full list any time I trigger the dropdown unless the user has started typing in a value – even if a value was previously selected. How do I change the ListFillRange to accomplish this (assume I change the Named Range) ? 2. I would like the list to automatically dropdown when the user starts typing in a value in the textbox portion of the combobox. 3. I would like to display additional column(s) in the dropdown for display purposes only to provide more info about the item to the user. How do I modify the DropDownList named Range to include additional columns? 4. Is there anyway, I can speed this up. I have a large range of data that gets evaluated when the user manually types in a value. Last thing, VBA is also the same for each of combobox. I got a problem, I used your method, works great for one combo box, but when I insert a second one, that`s when problems arise. Whenever I try to write in the second combo box, the drop down menu of the first combo box drops down showing the very same name I had selected for the first combo box. Hope all of this makes sence. Anything I am doing wrong ? I hope this works for you!! Tried the new code but same issue. I am also having this issue. Adding the GotFocus part did not work for me either. This is perfect! Its a fairly simply solution to an aggravating issue with data validation drop downs. One issue though, how would I change the VBA code to account for multiple drop-downs on a single sheet? I keep running into an issue where I have 2 separate instances of the code you provided, each one unique for the combobox it pertains to, but when I start to type in the first box the second one is the one that pulls up the “suggestions” in the drop down list. This renders the first combo box useless since I cant ever get the list to offer suggestions as it always reverts down to the next box. I have double checked that my names are correct in the code and that there isnt any cross over, but I cant get it to work. Would you have any suggestions for having multiple combo-boxes one sheet? Hee, Lovin it! Only one thing, The combobox is showing te dropdown after every random action in Excel. Is there a trick to only show the suggestions when i click on the combobox?? I am also encountering this, the combo box shows all the time in another sheets or another excel file…how do I prevent this? Thank you ! It works. But I have another trouble. I don;t know why but when I click on combo Box –> type text (exam: An ) –> chose 1 item in the list ( Exam: An Binh hosp)–> press Enter –> LinkedCell (C3) is ok (=An Binh hosp) but Combo Box.value is blank (properties and appearance on screen) –> click the arrow of combo box, choose “An Binh hosp” again –> Combo box appears “An Binh hosp” in it. Did I miss something when following your instruction ? Please help me take a look and give me solution. I’ve got the same problem. Thanks to your solutions, it works! Hi Sumit, I have listened to your great tutorial many times and followed all the directions. Everything works well except for the search suggestion. I don’t get a drop down list. When I return to the properties of the combo box I notice that I am unable to save “DropDownList” in the ListFillRange. Can you help? Thank you! I love this – worked for me – when i followed your instructions! THANK YOU! BUT- the only difference is when i used to use regular Data Validation list- it was easy to copy that drop down into an entire column. How can i do that with this Active X control Drop down? Because i want to use it for at least a thousand student records… need to line up with the other student data. Love the search as you type combo box, how can I make the ranges dynamic? I would love to just keep adding data to the end of the country list not have to recreate the formulas and named ranges every time. Thanks Bob.. Glad you like it! You save me with my problem…you are so good in excel and learned so much on your website. I hope to learn more from you! Thanks so much for this amazing website. Thanks. I have just send you an email. I hope you will have spare time to read it and would really need some help. I tried adding up another combo box in the same sheet, hoping of the same result from another source, but ListFillRange doesn’t allow me to save what I have typed in. Sumit: trick 20 is awesome! Thank you so much for sharing this! Any suggestion as to how I could arrange for a column that the values in the column get entered through the Data Validation list thing with a combo-box with the search capabilities you explained? yes , how do we do this ? hi, I create one Worksheet contain Master Data in A_Master sheet and in another sheet i have to select master from drop down list. i use your Tip#20, its work perfect but when i try to select any master by pressing down arrow, Excel stop working and start recovery!!!! i don’t know what’s wrong. i down load your given file from here and try same things, as soon as i press down arrow key excel stop working in your file too. please give me any solutions for that. I am having the same issue with the arrow keys. Everything works great, but if I hit the down arrow, excel crashes. I commented out the lines in the macro and it didn’t crash, but when I use the macro it crashes. Hi, had the same issue, and i cant find a solution, but there is a workaround, which is to disable the arrow keys when user activates the combo box. arrow key use will be restored once outside the combo box. let me show with data..
Hello – I followed the steps but I can’t get the search drop down to appear in the Combo Box when I start typing. What am I missing? Hi Alia – I have created a video tutorial that might be helpful (at the end of the blog). Alternatively, you can also use the excel sheet download, and change the data and ranges accordingly. Hope this works!! Hello Jesus Miranda – I am sure there is a way to do this in VBA, but I haven’t gone that way yet. I try to stay away from VBA if the stuff can be done without it in Excel. But to your point, it can definitely be tried. Any update on a VBA method? 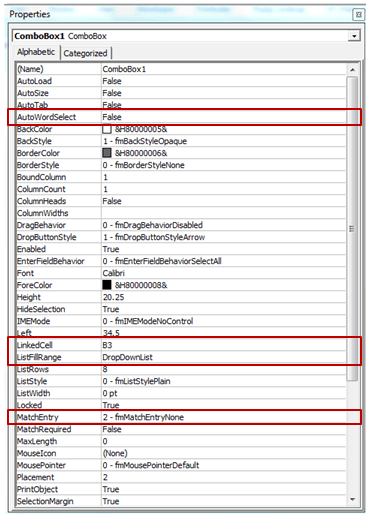 Dear Vabz, it is very useful to us, but how to set different form boxes in different columns. Hi Truman.. It seems to be working fine on my system. Let me check it on other systems if this happens, What version of excel are you using? It is good trick man.